Saudi NGOs that once distributed the kingdom’s largesse to advance ultra-conservatism, as well as officials, have adopted the language of tolerance and inter-faith respect – but there is little tangible change at home to back it up. To be sure, Prince Muhammad has lifted the ban on women’s driving, enhanced women’s work and leisure opportunities, and kick-started the creation of a modern entertainment industry. But none of these measures amounts to a fulfillment of his promise to foster an as yet unidentified, truly moderate form of Islam. The prince’s moves, moreover, have been accompanied by an embrace of the European right and far right, as well as Western ultra-conservative groups that by and large are hardly beacons of tolerance and mutual respect. Prince Muhammad’s interest in non-Muslim ultra-conservative groups in the West fits a global pattern, highlighted by political scientists Yascha Mounk and Roberto Stefan Foa, in which technological advances and the increased importance of soft power – which lie at the root of Russian intervention in elections in the US and Europe – have informed the information and public relations policies of multiple autocratic states. Technology and soft power, according to Mounk and Foa, are likely to spark greater efforts by authoritarians and autocrats in general to influence Western nations and undermine confidence in democracy. “Indeed, China is already stepping up ideological pressure on its overseas residents and establishing influential Confucius Institutes in major centers of learning. 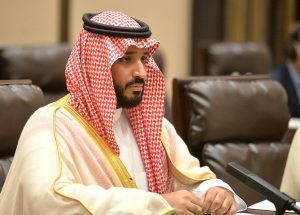 And over the past two years, Saudi Arabia has dramatically upped its payments to registered US lobbyists, increasing the number of registered foreign agents working on its behalf from 25 to 145…The rise of authoritarian soft power is already apparent across a variety of domains, including academia, popular culture, foreign investment, and development aid,” Mounk and Foa said. Furthermore, Saudi Arabia – along with other Gulf States, including the United Arab Emirates, Qatar, Oman, and Kuwait, as well as China – have been major donors to Western universities and think tanks. They have also developed media outlets of their own, such as Qatar’s Al Jazeera, Turkey’s TRT World, China’s CCTV, and Russia’s RT. These outlets reach global audiences and compete with the likes of the BBC and CNN. The Saudi effort to do so by garnering conservative, right-wing, and far-right support was evident in Northern Ireland. Investigating a remarkable campaign by Northern Ireland’s Democratic Unionist Party (DUP), a key support pillar of British PM Theresa May’s government, in favor of Britain’s exit from the EU, Irish Times columnist Fintan O’Toole suggested that a senior member of Saudi Arabia’s ruling family and former head of the country’s intelligence service, Prince Nawaf bin Abdul Aziz al Saud, as well as its just-replaced ambassador to Britain, had funded the anti-Brexit effort through a commercial tie-up with a relatively obscure Scottish conservative activist of modest means, Richard Cook. The ambassador – Prince Muhammad bin Nawaf al Saud, the son of Prince Nawaf – was Saudi Arabia’s ambassador to Britain until last month’s Saudi cabinet reshuffle. “It may be entirely coincidental that the man who channeled £425,622 to the DUP had such extremely high-level Saudi connections. We simply don’t know. We also don’t know whether the…Saudi ambassador had any knowledge of his father’s connection to Richard Cook,” O’Toole said. Similarly, Saudi Arabia has invited dozens of British members of Parliament on all-expense paid visits to the kingdom and showered at least 50 members of the government, including Ms. May, with enormous hampers of food weighing up to 18 pounds. One package destined for a member of the House of Lords included seaweed and garlic mayonnaise; smoked salmon; trout and mussels; and a kilogram of Stilton cheese. Others contained bottles of claret, white wine, champagne, and Talisker whisky, despite the kingdom’s ban of alcohol. In a move similar to Russian efforts to influence European politics, Saudi Arabia has also forged close ties to conservative and far-right groups in Europe. This includes the Danish People’s Party and the Sweden Democrats as well as other Islamophobes, according to member of the European Parliament Eldar Mamedov. Writing on LobeLog, Mamedov said the kingdom frequently worked through the European Conservatives and Reformists (ECR) bloc, the third-largest grouping in the European Parliament. Saudi Arabia also enjoyed the support of European Parliament member Mario Borghezio of Italy’s Lega, who is a member of Europe of Nations and Freedom (ENF), a bloc of far-right parties in the Parliament. Though it is pursuing different goals, the kingdom’s strategy, in a twist of irony, resembles to a degree that of one of its nemeses, Indonesia’s Nahdlatul Ulama, the world’s largest Muslim NGO. Nahdlatul Ulama opposes the puritanical strand of Islam etched into Saudi Arabia’s DNA and has forged close ties to the European right and far right in its bid to reform the faith. The Saudi strategy could prove tricky – particularly in the US, depending on the evolution of US Special Counsel Robert Mueller’s investigation into foreign interference in the 2016 election that brought President Donald Trump to office. Mueller is reportedly set to unveil efforts by Saudi Arabia, its reputation in the US already tarnished by the Khashoggi killing, and the United Arab Emirates, the kingdom’s closest ally, to influence American politics.